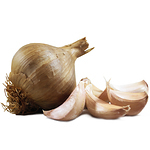 As an antiseptic, garlic acts in two ways, killing both bacteria and fungi. This means that it is useful in treating mild intestinal infections such as diarrhoea as well as lung infections such as bronchitis and seems to act as a protective agent against these infections if taken regularly. 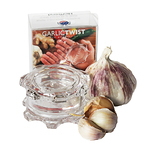 Applying a topical solution of raw garlic and water may stop wounds from getting infected. (Simply crush one clove of garlic and mix it one-third of a cup of clean water. Use the solution within three hours because it will lose its potency over time.) A garlic solution used as a foot-bath several times a day is traditionally believed to improve athlete’s foot. A study conducted at Bastyr University, a natural heath sciences school and research center near Seattle, showed that a garlic oil extract cured all warts it was applied to within two weeks. In the same study, the garlic oil extract also proved useful in dissolving corns. Recent data shows that water based extracts where the allicin has been stabilized are also very effective at killing bacteria, fungi and viral infections. CAUTION: Always use a diluted garlic solution when applying garlic directly to the skin. 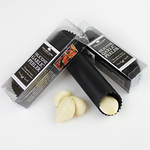 Pure cut garlic is so powerful that prolonged exposure to the skin may result in a burn! Garlic is a powerful antioxidant helping to protect against free radicals in the body, which are known to cause damage to cells and encourage cancers. 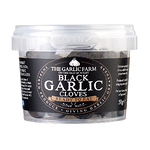 Garlic 'fights food poisoning bacteria' From the Telegraph 3rd May 2012 "Scientists have found a compound in garlic that is 100 times more effective at fighting a common type of bacteria that causes food poisoning, called Campylobacter, than two types of antibiotic. Campylobacter is commonly found both on the surface of poultry and inside the flesh. Researchers at Washington State University in the US have found that a compound derived from garlic, called diallyl sulphide, is particularly effective at penetrating the slimy film that protects colonies of Campylobacter. They found that, in a laboratory setting, it was 100 times more effective than the antibiotics erythromycin and ciprofloxacin, and would often work in "a fraction of the time". Barbara Rasco, associate professor of food science, said: "Diallyl sulphide could make many foods safer to eat. 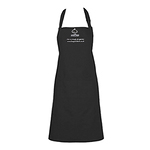 It can be used to clean food preparation surfaces and as a preservative in packaged foods like potato and pasta salads, coleslaw and deli meats." Experiments in the laboratory and in population studies all support the premise that garlic may interfere with tumour activity. Cancers of the stomach, colon and skin seem to be the most likely to be affected. The exact mechanism is unclear and probably consists of several different actions but intake of fresh garlic definitely shows promising results. Garlic has been a tried and trusted natural remedy for thousands of years. And now researchers have found another use for the pungent bulbs – they kill MRSA. Patients who have suffered for years with weeping, infected wounds have been cleared after a course of garlic pills and creams, recent trials at the University of East London have shown. So far more than 250 people have been successfully treated. In Tajikistan and Uzbekistan, garlic has been used for many centuries as a popular remedy for ailments from scurvy to anaemia to general health recovery. In this region garlic was a common folk medicine against early forms of tuberculosis and bronchitis and used to help cure pneumonia and lung problems. 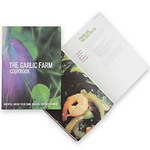 Central Asia is home to many varieties of garlic and is often considered to be centre of origin of the majority of alliums. Garlic also makes an excellent natural insect repellent. They are warded off by the strong odour caused by the breakdown of the allium sulfur groups. When metabolized these groups produce allyl methyl sulfide which cannot be metabolized, this passes into the blood stream and out of the body through the pores of the skin and breath. Green herbs and vegetables can be an effective way to counter the bad breath. It is the chlorophyll contained in these plants which is able to breakdown the allyl methyl sulfide and thus lessen the intensity of the odour.